Description: This is a package of 8 round Silver Metal Tags. 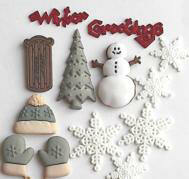 These are great for embellishing any project. They also come in Brass Metal. Description: This is a package of 6 rectangle Silver Metal Tags. 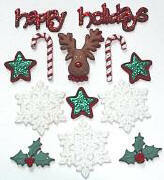 These are great for embellishing any project. They also come in Brass Metal. Description: This is a package of 6 rectangle Brass Metal Tags. These are great for embellishing any project. They also come in Silver Metal. Description: This is a package of 15 Chinese Coins made by the Gary Burlin Company. They are 8 sided and have a ring for hanging. Description: This is a package of 15 Shield Chinese Coins made by the Gary Burlin Company. They are some what heart shaped with ruffled edges and have a ring for hanging. Description: This is a package of 15 round Chinese Coins made by the Gary Burlin Company. They are round with a square hole in themiddle and a loop for hanging. Description: The Gary Burlin Company makes this mini deck of cards. All the cards are here even a Joker and all have a Blue back!! These would be great for scrapbook pages, cards & Tag Art too!! Description: The Gary Burlin Company makes this small deck of cards. All the cards are here even a Joker and all have a Red back!! These would be great for scrapbook pages, cards & Tag Art too!! 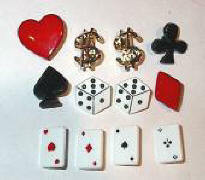 Description: The Gary Burlin Company makes these Mini Wood Dice. You get 24 total (12 sets) in this bag. GREAT adddition to all your projects. Description: This is a package of 7mm Round Rhinestones. Made by the Darice Company. These are multiple colors for any idea you have. Description: This is a package of 2 Metal Hangers, 5 Natural color Clothespins and some Jute type string. Made by the Darice Company. Description: This is a package of Metal Safety Pins in many different colors. Made by the Darice Company. There is 60 pins in this package and they are metallic in color. Description: This is a package of Small Wood Dominoes. You get 28 in this package made by the Gary Burlin Company. Description: This is a package of Large Wood Dominoes. You get 28 in this package made by the Gary Burlin Company. Description: This is a package of Small Plastic Dominoes. You get 28 in this package made by the Gary Burlin Company. These look and feel like real Dominoes, They are heavy like real ones. Description: This is a package of Large Plastic Dominoes. You get 28 in this package made by the Gary Burlin Company. These look and feel like real Dominoes, They are heavy like real ones. Description: This is a package of 64 Alphabet tiles in wood with 5 squares of a Smiley Face, Heart, Yin Yang, Peace Sign and a Blank. These are made to look like scrabble board letters. Description: This is a set of embellishments from Dress It Up. 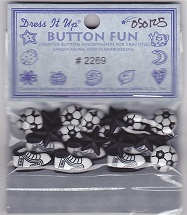 This set contains 8 small soccer balls with button loops on back, 7 black stars and 6 soccer shoes. Description: This is a set of embellishments from Dress It Up. 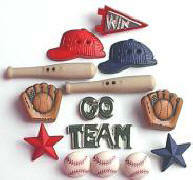 This set contains "Go" and "Team" emblems, 1 "WIN" pendant, 2 stars (red & blue), 3 baseballs, 2 baseball caps (red & blue), 2 mits and 2 baseball bats. Similar to the picture shown here. Description: This is a set of embellishments from Dress It Up. 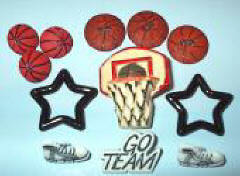 This set contains 2 "Go Team" emblems, 3 large basketball buttons, 2 small basketballs, 1 baskeball hoop, 2 tennis shoes and 2 large black stars. Similar to the picture shown here. Description: This is a set of embellishments from Dress It Up. This set contains 2 dice, 1 $100 bill (2 sided), 1 large Heart, 1 large Spade, 1 large Diamond, 1 large Club 2 green dollar signs and 4 cards (1 of each suit). Similar to the picture shown here. Description: This is a set of embellishments from Dress It Up. This set contains 1 snowman, 1 hat, 2 mittens, 1 Christmas tree, 1 sled, 2 large snowflakes, 3 small snowflakes, 1 "Winter" and 1 "Greetings" word in red. Similar to the picture shown here. Description: This is a set of embellishments from Dress It Up. This set contains 3 large snowflakes, 2 candy canes, 2 green hearts with red centers, 2 holley berries, 1 reindeer with red nose, 1 "Happy" and 1 "Holidays" word in red sparkle. Similar to the picture shown here.